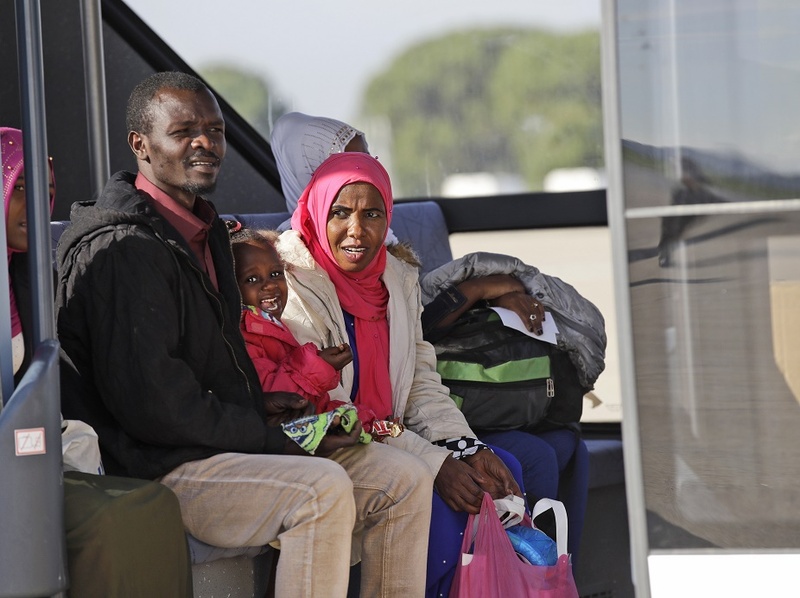 (CN) – Life is likely to get a lot more uncertain and rough for thousands of immigrants and asylum-seekers in Italy after the government this week passed a law that critics say will drive many foreigners underground. But the law also faces an uncertain legal future. There are doubts whether key parts of the law will be able to survive scrutiny by the constitutional court. But any ruling striking down portions of the law would likely not take place for months, a legal expert said. Late Wednesday, Italy’s lower house of parliament, the House of Deputies, overwhelmingly voted in favor of the anti-immigrant law, commonly referred to as the “Salvini Decree,” named for far-right Interior Minister Matteo Salvini. The final vote was 396-99. The new law turns on its head Italy’s generous and extensive system of asylum for people fleeing poverty, war and hardship. For years Italy has seen hundreds of thousands of asylum-seekers from Africa and Asia reach its shores on dinghies, rafts and boats launched from North Africa. Tens of thousands of asylum-seekers have died attempting crossings of the Mediterranean Sea too. But the new law scraps asylum protection on humanitarian grounds. Italy is one of a few European countries that granted asylum for humanitarian reasons. Such protection could extend, for example, to a homosexual person fleeing a country where homosexuality is illegal. Under the new decree, only refugees fleeing war or political persecution will have the right to asylum. Special permits, valid between six months and a year, will be given to other asylum-seekers. These other permits would apply, for example, to those fleeing natural disasters, suffering health problems and fleeing exploitation. The new law also allows Italian authorities to expel asylum-seekers found guilty of a felony, including threats of violence to a public official and theft. The law also affects Italy’s extensive asylum system, where more than 35,000 asylum-seekers live, often in hotels, houses and centers. In these centers, the asylum-seekers learn Italian and skills to help them become Italian citizens. Now, though, the centers will only be open to people whose asylum requests have been accepted. Criticism of the law has been harsh. Salvini defended the law and said it was beyond doubt in keeping with Italy’s constitution. He said it would protect Italy against human trafficking and criminality. Gianluca Vitale, an immigration lawyer affiliated with the Association for Juridical Studies on Immigration, said parts of the law might end up before the constitutional court if a judge seeks a ruling from the constitutional court. He said it is unlikely that the entire law would be overturned, but parts of it could be. In particular, he said the removal of asylum on humanitarian grounds might be ruled a violation of the constitution. “Many think this is unconstitutional,” Vitale said in a telephone interview with Courthouse News. Article 10 of the Italian Constitution grants asylum to foreigners who cannot enjoy the same democratic freedoms as those guaranteed by the Italian Constitution in their home country. But Vitale said it could be several months before a test case makes it to the high court. In theory, he said the law in its entirety could be challenged because it was enacted under emergency and shortened parliamentary procedures, even though the law included provisions that he said did not meet the definition of an emergency. But he considered such a challenge unlikely to succeed. In voting against the law, members of the center-left Democratic Party wore white masks over their faces to signify that the law forces many asylum-seekers underground and turns them “into ghosts.” Party leaders, led by Maurizio Martina, also said they would push for a referendum to overturn the law. An estimated 60,000 people could find themselves with an irregular legal status by 2020 under the new law, according to Matteo Villa, a research fellow at the Italian Institute for International Political Studies. Many foreigners already live and work in dangerous conditions and are exploited by criminal groups. Gaetano Azzariti, a constitutional scholar at the Sapienza University of Rome, said in an interview with the Italian magazine Vita that the law is unconstitutional on several points. He questioned passing the law under emergency procedures, largely because immigration is an ongoing phenomenon. He pointed out that Salvini has vaunted that immigration has decreased by 80 percent – proof that it is not an emergency. “Isn’t that a contradiction of logic?” Azzariti said. He added that the courts previously have upheld the right to protection on humanitarian grounds, as he said was guaranteed by the constitution. He also questioned a provision in the law that allows authorities to take citizenship away from naturalized citizens found guilty of terrorism. He said that violates the principle of equal treatment, and loss of citizenship under this provision could be construed as politically motivated, another potential violation of the constitution. The law must still be signed by Italian President Sergio Mattarella. As a guardian of the constitution, he could in theory not sign the law but that is unlikely.